Elio e le Storie Tese, often abbreviated as EELST, is a popular Italian band from Milan that was formed back in 1980. Their music is clearly and declaredly inspired to the style of Frank Zappa, both in music and lyrics. Bluvertigo is an Italian band formed in 1992 and their first album was released in 1995. Subsequent albums in 1997 and 1999 were released and they were later called as the chemical trilogy as every title has a reference to chemistry. Their last album is entitled Pop Tools, a compilation released in 2001. 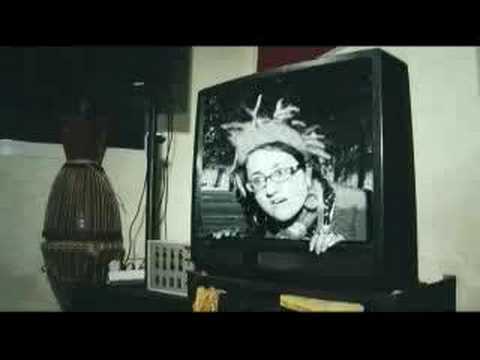 Almamegretta is a dub/world/reggae group from Naples, Italy whose lyrics are in Napoletano. Almamegretta was established in 1987 by Gianni Mantice, Patrizia Di Fiore and Gennaro T, and their music became quite successful, leading to remix work of several of their songs. Gabin is an Italian new age jazz band featuring Massimo Bottini and Filippo Clary. They have collaborated with numerous jazz artists such as Dee Dee Bridgewater, Edwyn Collins, and China Moses. They released their self titled debut album in 2002 and Doo Uap, Doo Uap, Doo Uap, one of their first hits from the said album, is also the video below. Gabin’s song Bang Bang To The Rock’N’Roll was featured in the 2005 film Fantastic Four. You are currently browsing the Italian Music weblog archives for May, 2008.